ON A WEDNESDAY AFTERNOON IN SPRING, Joel Stitzel drives from downtown Winston-Salem to the Wake Forest School of Medicine campus in his late-model Toyota. He means to upgrade to something newer, with side-impact airbags, because he understands the value of this relatively recent safety feature better than most. He’s meeting with a group of doctors, engineers and computer programmers. Before long, on the screen in front of them is a list of unpleasant potential car wreck outcomes ranging from laceration of eyelid to brainstem contusion to torn aorta. It’s a standardized list that includes over 1,000 possibilities. Since he arrived at Wake from Virginia Tech in 2005, Stitzel has focused on projects aimed at reducing the severity of such injuries or avoiding them altogether. One of his team’s latest projects is an effort to build the foundation of an automatic system that could help ensure the most dangerously wounded accident victims make it to proper trauma centers in time to save their lives. In the process, the group is helping propel the cross-campus collaboration of the Virginia Tech-Wake Forest University School of Biomedical Engineering and Sciences to an unprecedented level of national prominence, with a U.S. News and World Report ranking in 2012 that has climbed 14 places in just the last 3 years to 39th in the nation. And Stitzel’s team recently drew national attention to the joint program as the focus of a Toyota commercial about football helmet research that grew out of the group’s vehicle safety work. 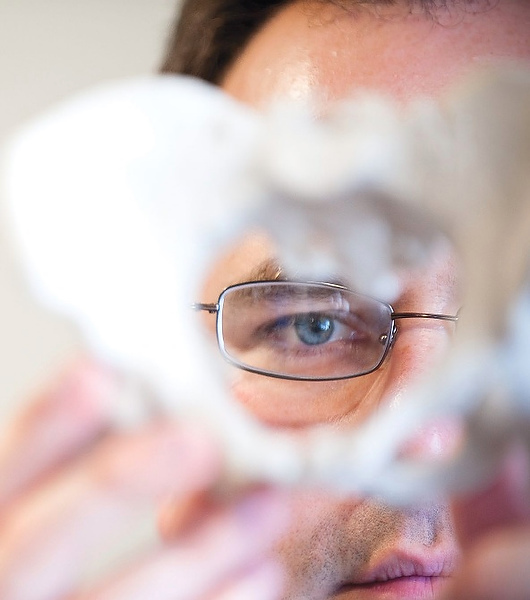 When Stitzel arrived at Wake Forest to become director of the Center for Injury Biomechanics, he was ready for big things, but some thought he was setting his sights too high. One of Stitzel’s first goals was to gain entry to the elite Crash Injury Research and Engineering Network (CIREN). This National Highway Traffic Safety Administration program funds just six centers nationally to perform detailed studies of car accidents and then feed the information into a database. That information is critical for a range of scientists and engineers around the country and the world who use it to understand wrecks and improve vehicle safety. That kind of outspoken determination is not what most people would expect from Stitzel, a soft-spoken program leader first attracted to engineering through a lifelong obsession with video games in which he now rarely has time to indulge. It was good he ignored the critics on his CIREN application plan. The NHTSA didn’t choose Stitzel’s group, but the team caught the eye of carmaker Toyota, which had decided that year to fund an additional CIREN center. Toyota chose the Wake-Virginia Tech program, leading to a cascade of projects that would have a huge impact on the group’s funding, successes and national reputation. The Toyota CIREN funding of $440,000 per year ended prematurely in 2008 as the economy declined, but by then the program had proven itself sufficiently to inspire the NHTSA to provide bridge funding so that the work could continue. And in 2010, when grant applications opened again, Stitzel and his team went on to win full federal CIREN funding of $2.2 million over five years. For CIREN, they analyze about 40 wrecks in the region each year, focusing on ones with straightforward injuries stemming from “clean” crashes — those that don’t involve rollovers or multiple impacts — because these produce the most widely applicable data. The CIREN database is accessible to researchers around the country, but names and other sensitive information remain strictly confidential. Not even police or insurance investigators can get to those details, though they sometimes try. 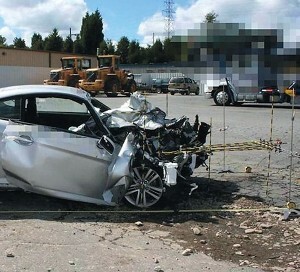 Once the team has approvals, its members gather available data, such as from medical records and police reports, and trained investigators gather additional information by studying wrecked vehicles and accident sites. Once a month, the full team, including trauma specialists at the medical school, who were a key asset in gaining the CIREN funding, get together to talk through the details of each profiled accident. Stitzel’s team members’ work so impressed Toyota that when the company began a new grant program at the beginning of 2011, it asked them to compete and ultimately backed two projects that build on the CIREN work. The projects began late last year. The largest is building the foundation for an effective Automatic Crash Notification (ACN) system. The goal, which a number of groups and companies are pursuing, is to develop a system that will automatically glean enough vehicle information during an accident to notify authorities about the likelihood of severe injuries. Currently, responders have to come to a crash site and assess injuries before taking such steps as calling a helicopter. This takes valuable time that can mean the difference between life and death. But, if authorities were notified electronically that, for instance, major head injuries were likely, they could dispatch a helicopter immediately to take a victim to a major trauma center for specialized care not available at a regular hospital. 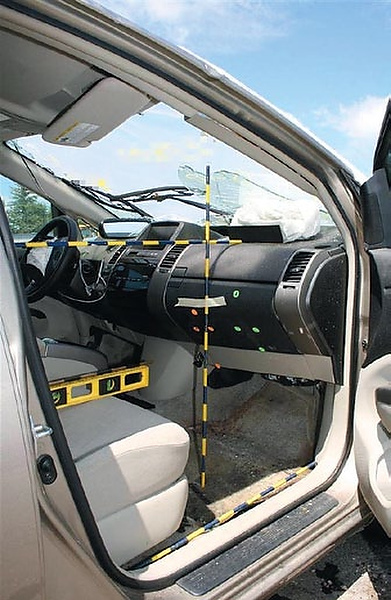 Newer cars already record information during a crash to determine where people are sitting and when to deploy airbags. This information could also be used to make calculations about likely injuries, and additional sensors could be added to expand possibilities. Stitzel and his colleagues are working to determine which kinds of injuries on the long list of possibilities are most likely to require transport to the higher level trauma centers, in part by surveying trauma surgeons. In conjunction with that work, the team is developing computer algorithms that can process the likelihood of whether someone in a car has experienced major trauma based on the data available from car sensors. Some cars already have systems such as OnStar that automatically send out basic information such as airbag deployment so that operators can notify proper authorities. An ACN system would work similarly. The group demonstrated a prototype system in Japan last December. Toyota engineers smashed a remotely operated car with dummies on-board into a wall. Using a frantically produced preliminary algorithm, the system transmitted a recommendation for transport of one injured “passenger” by helicopter and one by ambulance. “It was really stressful, but Toyota was very happy with the results,” says Stitzel. The Toyota funding program encourages researchers to make all their results public, so any manufacturer will be able to use the information and algorithms generated to create its own systems. Right now such systems would have to be offered voluntarily as vehicle options, but the NHTSA may eventually mandate them. A second Toyota-funded project plays out at the more basic research level and it’s intended to help reduce the number of accident injuries that reach that major trauma level. To do that, they’ll be running extensive computer models of a handful of car wrecks using Toyota’s Total Human Model for Safety, a computerized representation of the body that includes everything from virtual bones to organs. 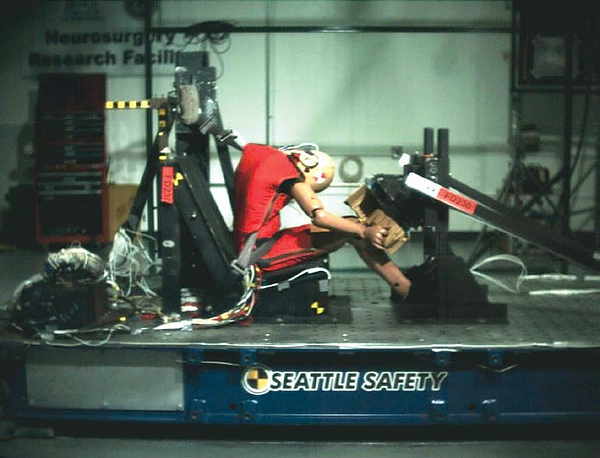 Today government safety standards are tied to crash test dummies. And while these may be easier to come by than live volunteers for crash tests, their limitations are substantial. There are only so many sensors you can cram into them, and the cars for the crashes aren’t free. Using well-developed computer models of both cars and passengers would be not only cheaper and vastly simpler, they also offer the potential to identify the causes of injuries and, by extension, to prevent or minimize them. Virtual humans should approximate the complexity of the real accident scenario much more closely than a dummy ever could, and you can run modeled humans and vehicles through as many tests as you like. 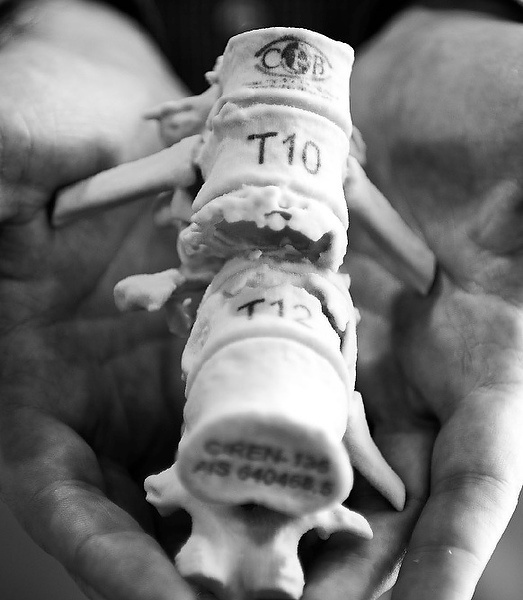 “The day is probably coming when full human body models will be used to assess injury risk,” says Stitzel. But before the government can shift testing regulations in that direction, models need to be improved and better proven. 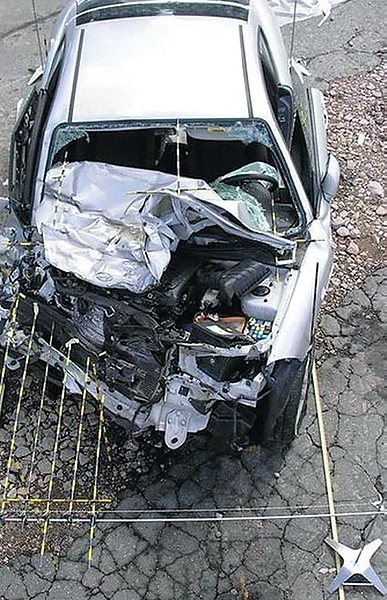 Over the course of the five-year project, researchers will be intensively studying four specific accidents, each of a different type, beginning with a simple side impact. They’ll virtually place THUMS inside computer models of vehicles involved then run them all through a computerized representation of the actual crash. Project leader Kerry Danelson searched the CIREN database to settle on the right candidate, in this case a clean wreck involving vehicles for which adequate computer models are already available as starting points. The goal will be to tweak both the vehicle and human models to create the closest approximation of the wreck possible. If a lung were punctured in real life, for instance, the computer model would need to show the same result in a way that illuminates exactly which parts of the vehicle did damage and why. Such work is both computer and labor intensive. The team uses a supercomputer on the Wake Forest main campus to run simulations. Though wrecks are over in a flash, perhaps 200 milliseconds, the computer crunching of each simulation can occupy a supercomputer for 10 hours. Though work tied to automotive safety dominates much of the team’s efforts, expertise is not limited to that. At its heart, the program is about predicting injury risks in useful ways, and that can apply in a number of other fields. Already, the team has worked with NASA to aid in the design of the new Orion space capsule, and with the military to evaluate the comparative benefits of implants for neck injuries. Now the group has begun studying injuries tied to youth football, in hopes of aiding design of better helmets and improved coaching guidelines that might prevent the situations most likely to lead to head injuries. “There’s a lot of that data at the collegiate level, but this is really some of the first information that’s going to be about those kids,” says Stitzel. In collaboration with Virginia Tech, the group is outfitting youth teams from various age groups with sensor-equipped helmets. The work is not unlike what researchers do with car accidents, and it even involves the THUMS model. In this case they’ll be looking at the forces involved in head impacts, and they’ll correlate those forces with brain deformations and injuries detected by complementary medical exams. Once they can better predict concussions and other problems, they’ll be able to recommend the improvements. The project has already led to more national exposure. In 2011 Toyota ran a series of ads touting positive ways that the automotive research they support has been applied. In one, an actor talks about the Wake Forest helmet work. While helmet improvements that flow from the project could benefit most of the people who use them, with vehicles, thankfully, most of us won’t ever put the bulk of the advancements made in crash protection to the test. Most of our airbags and other safety equipment go to the salvage yard unused. But for those who prefer peace of mind, and those who will ultimately find themselves in major accidents, the work is critical. “The things we do have the potential to save a lot of people,” says Stitzel. They’re as focused on lowering the severity of injuries as they are on preventing them. “You don’t always get a lot of points for that,” says Stitzel, but that doesn’t make it any less important. The person who comes out of a wreck with a concussion isn’t likely to be thinking how thankful they are they didn’t get a subdural hematoma, for instance. But that’s OK. The statistics showing steady declines in fatalities and major injuries in recent years prove work like Stitzel’s is paying off. For most, the outskirts of downtown Winston-Salem have always been a labyrinth of quiet tobacco warehouses and other lifeless facilities. But a drive down Patterson Avenue on the northeast side of town now includes something very much alive. There’s a brick front with a sign that says Wake Forest Biotech Place, a $100 million transformation of what were once R.J. Reynolds Tobacco Company facilities. From the front it looks like a new building, but just around the corner there’s a full wall of historic glass blocks from the building’s initial construction in 1937 that are just one sign of the careful steps taken to preserve the buildings’ history. 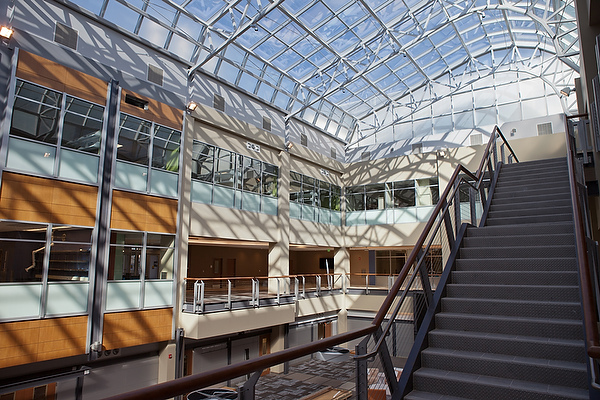 Joel Stitzel’s group was one of the first to move into the 242,000 square-foot facility, which was renovated commercially and has Wake Forest as its main tenant. Everything is situated around a cavernous glass-roofed atrium that comes as a shock to visitors as they first step inside the building. Companies like Allegacy Federal Credit Union are there, too, but within a year about 350 scientists from the Wake Forest School of Medicine will dominate most of the extensive laboratory and office space. Mark Schrope (’93) graduated with a BS in biology. Based in Florida, he writes for such publications as Nature, Popular Science, New Scientist, The New York Times and Sport Diver.